Although the letters exchanged by Abelard and Heloise are the most famous examples of correspondence to survive from the Middle Ages, they represent only a small fraction of the letters extant in medieval manuscripts. Throughout Western Europe, the medieval period witnessed the development of a vibrant epistolary culture. The eleventh and twelfth centuries, in particular, have been labeled a golden age for medieval letter writing because of the extraordinary volume of correspondence that survives from this period.1 As evidenced by Heloise, elite women were not excluded from this community of letter writers that emerged during the central Middle Ages.2 Especially in the German kingdom, where numerous twelfth-century epistolary collections survive in manuscripts produced in monasteries and cathedral chapters, there is abundant evidence of lay and religious women relying on letters to communicate. 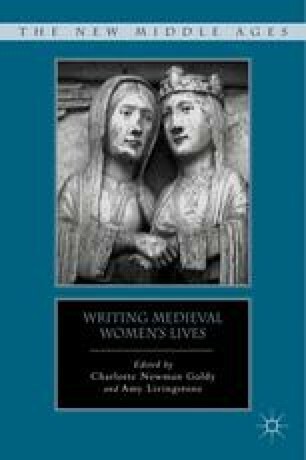 The largest collections of this female correspondence concern some of the most influential holy women of the central Middle Ages. For example, 22 letters from the German visionary Elizabeth of Schönau (d. 1164) are extant, and Abbess Hildegard of Bingen (d. 1179) is identified as the author or recipient of more than 300 surviving letters.3 The epistolary genre was not the exclusive domain of famous religious women, however, and many other elite women, both inside and outside the church, appear in the pages of German letter collections.